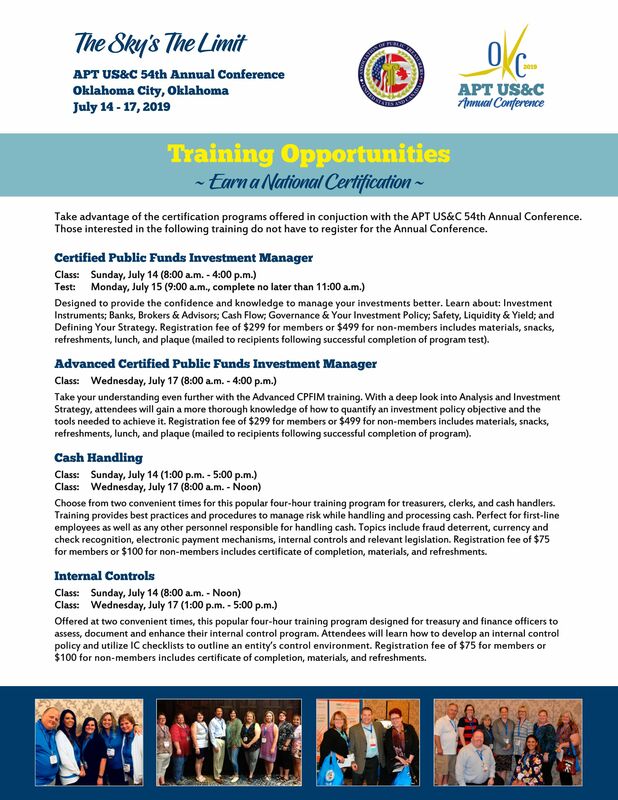 The nationally recognized Certified Public Funds Investment Manager (CPFIM) certification program is designed to provide the confidence and knowledge to manage your investments better. Learn about: Investment Instruments; Banks, Brokers & Advisors; Cash Flow; Governance & Your Investment Policy; Safety, Liquidity & Yield; and Defining Your Strategy. See more information here. You can register for the CPFIM as part of your conference registration or you can attend only the CPFIM (or other add-on training) by registering here.